This colorful figurine brings to life the artwork of Amy Brown! It features a pixie with a purple and aqua color scheme, conversing with a little mythical friend. 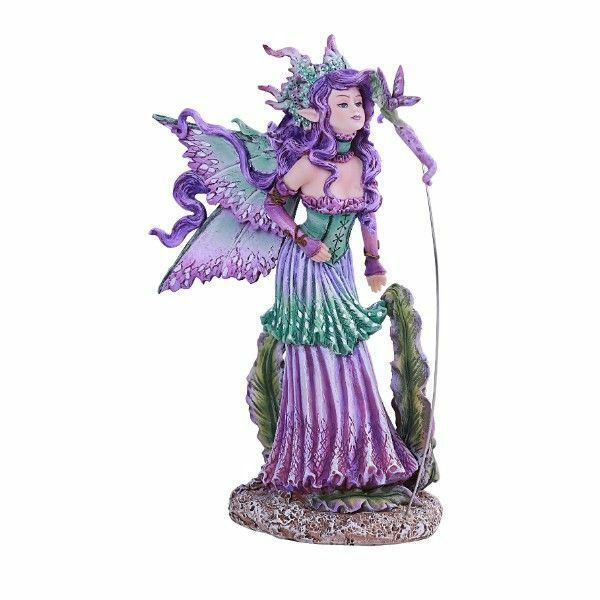 The fae has butterfly wings in matching colors, violet hair, and detailed accessories. It's a great gift idea for anyone who appreciates fairies!